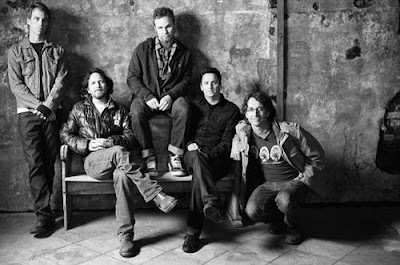 For those who aren't aware, Pearl Jam announced that they will play eleven Midwest and East Coast tour dates in May of 2010 including the XL Center on May 15th. Opening for them will be the illustrious Band of Horses. Not typically our bag to talk about this kind of thing, but whatever. Tickets go on sale tomorrow at 10AM so click over as soon as you can. $69?!? So much for fighting the good fight against Ticketbastard. Now it's all about cash grabs and Target commercials. I'm still tempted to buy some tickets and sell em for double when this show inevitably sells out. Only garbage seats left. And what's convenient about a $13 change?